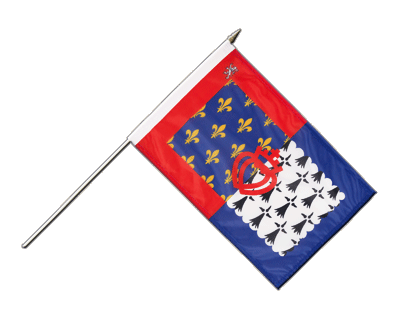 Pay de la Loire Hand Waving Flag 12x18"
Our France Pay de la Loire hand waving flags are made from 100% wind- and weatherproof polyester. The flag is strengthened with a hem stitch on one side. The other edges are simply stitched. A removable wooden pole is included in the delivery. 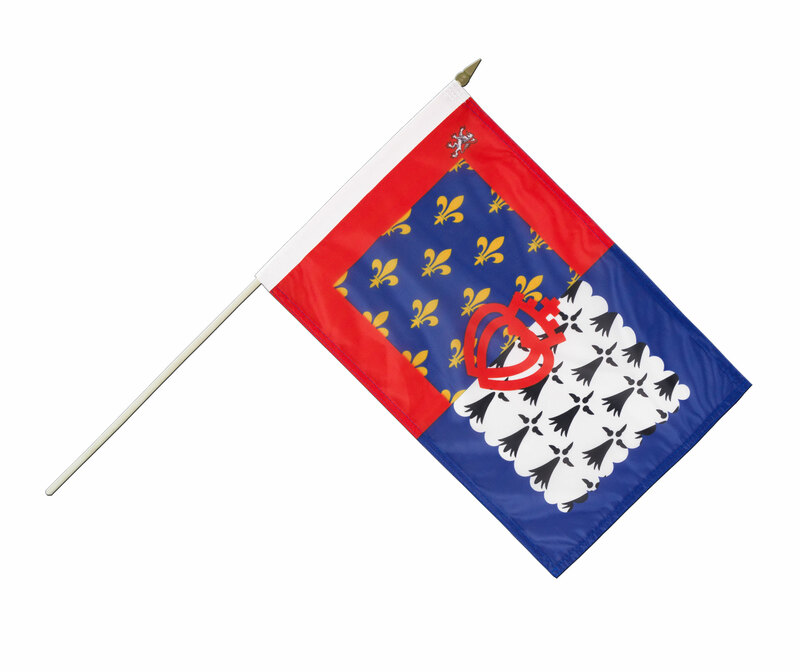 Our products stand for quality: Buy a France Pay de la Loire hand waving flag of outstanding quality and at a reasonable price.